A recent presidential directive mandated that all U.S. government agencies establish a centralized identification system. 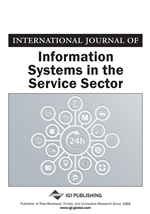 This study investigated the impact of users’ involvement, resistance, and computer self-efficacy on the implementation success of a centralized identification system. Information System (IS) usage was the construct employed to measure IS implementation success. A survey instrument was developed based on existing measures from key IS literature. The results of this study indicated a strong reliability for the measures of all constructs (user involvement, computer self-efficacy, user’s resistance, and IS usage). Factor analysis was conducted using Principal Component Analysis (PCA) with Varimax rotation. Results of the PCA indicate that items of the constructs measured had high validity, while Cronbach’s Alpha for each factor demonstrates high reliability for all constructs measured. Additionally, results of a structural equations modeling analysis using Partial Least Square (PLS) indicate that computer self-efficacy and user involvement had positive significant impact on the implementation success. However, the results also demonstrated that user’s resistance had no significant impact on IS usage, while end user involvement had a strong negative impact on user’s resistance. Prior research has been conducted on various models of implementation success (DeLone & McLean, 1992, 2003). However, such models have been repeatedly validating a somewhat fixed set of constructs such as user satisfaction, system quality, information quality, and IS service quality. Although such construct are valid, the aim of this study was to go beyond such strongly validated constructs and investigate other individual constructs that appear promising as predictors of IS implementation success. Specifically, the implementation success as described under this investigation concentrated only on the constructs of user involvement, user resistance, computer self-efficacy, and IS success. Thus, a brief review of the literature for each of these key constructs is provided and serves as the theoretical foundation for this study.